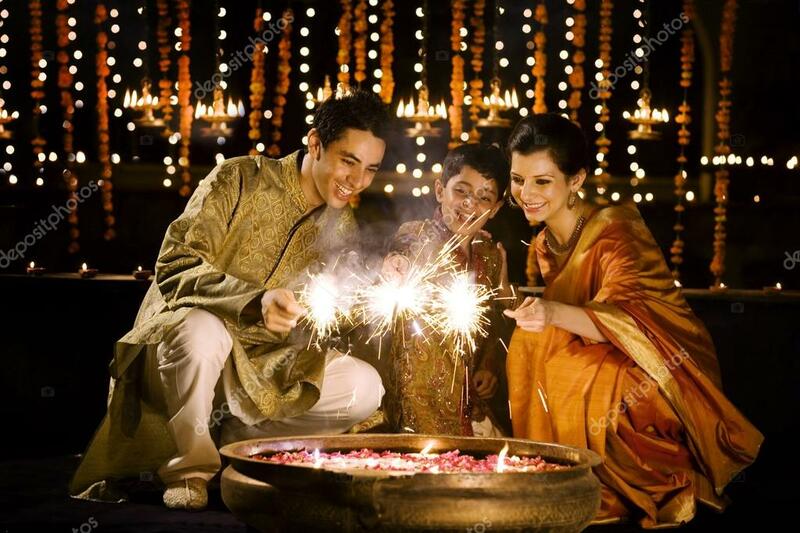 People, it’s the best season of the year again – the Diwali Season! And every one is geared up to celebrate, what we know, as one of the most beloved festivals of India. The festival of lights, sweets and lots of happiness and fun! So, while you’re busy with the preparation—cleaning the house, shopping, buying diyas, making sweets etc. we thought we should take some load off your shoulders. We know Diwali is a time for exchanging gifts between loved ones. And according to the Indian tradition, the most auspicious of all gifts is the gift of gold. There are also numerous practical reasons why gold is considered to be the most special gifts for the people you really care for. Gold is purest of all metals. Gold is an investment. It can help you in times of need. Gold jewellery can add a spark to your personality, quite literally. Gold has easy liquidity in any part of the world. Old gold can be remade to new jewellery. Now, on a festival such as Diwali, gold is usually given in the form of gold coins. One buys gold coins for themselves or their parents, spouse, siblings, children or other relatives and friends. Certain corporates give gold coins as a token of appreciation to their employees, business partners and clients. AuGrav understands how difficult and cumbersome it could be to not only buy gold coins from the right place, but also get good deals. And that’s why, we want to make it extremely easy for you to buy gold as well as silver coins while seated in the comfort of your home. 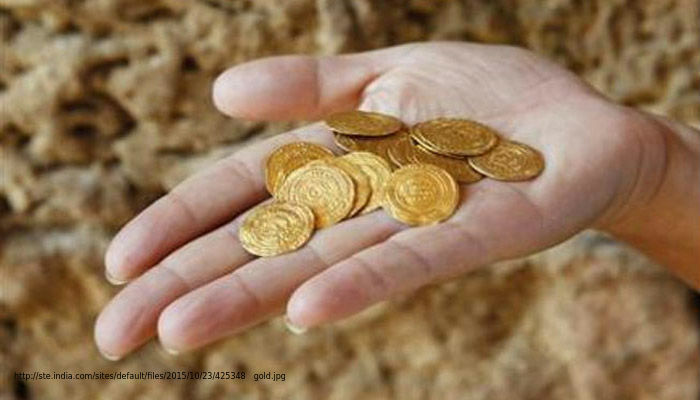 Here are the top 5 reasons why you must buy gold coins at AuGrav! Yes, that’s right! Our special gift for you this Diwali is an exclusive 5% Discount on any gold and silver coin you purchase from AuGrav. This is a limited time offer valid upto October 21st. So, hurry up. You don’t want to miss out on this golden chance. 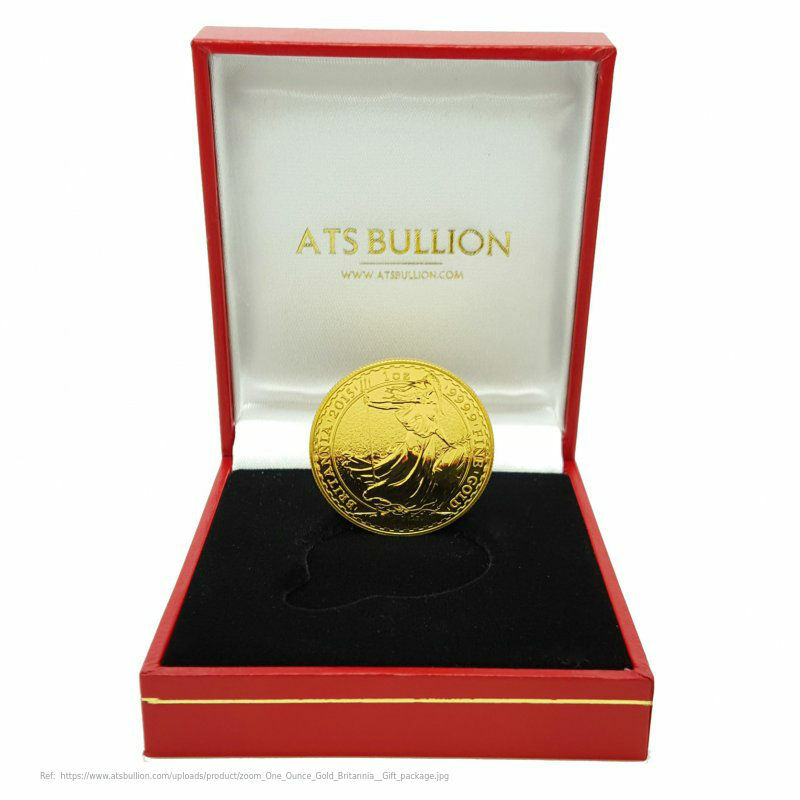 We offer gold coins of 22 Karat (916) or 24 Karat (995) as well as those with varying weights such as 2, 4, 5, 8 and 10 grams. So, you can select any one of them based on your budget and preferences. Our silver coins are available in 5, 10, 20, 50 and 100 grams and they come with 999 purity. Now, imagine giving someone a gold coin with their own picture engraved on it! That’ll be a total surprise for the receiver, right? So, whether you want to delight your newly married daughter and son-in-law with their picture on a gold coin specially designed for them, or want to surprise your parents with their picture, you can do it all with us! 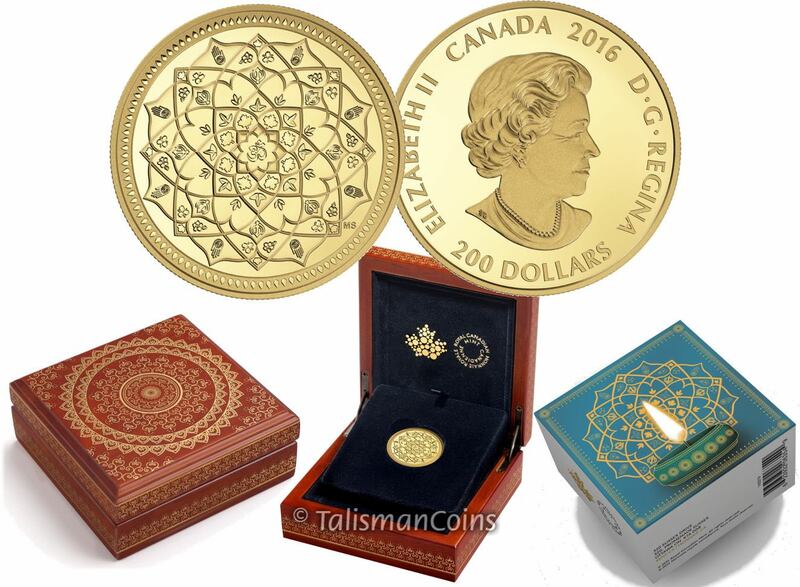 Yes, our photo engraved gold and silver coins are just what they sound like. A photo, that is, any picture of your choice engraved on a coin. One of the most popular requests we get are photo coins with pictures of Gods and Goddesses on them. So, if you want an engraved coin of your Kuladavata, Goddess Lakshmi or any deity you want, you can get them, at AuGrav. What’s more? Your photo coins can also include a special wish or a message from you! Just upload a picture, select the metal (gold or silver), the purity and weight of your coin, and place your order. As simple as that! 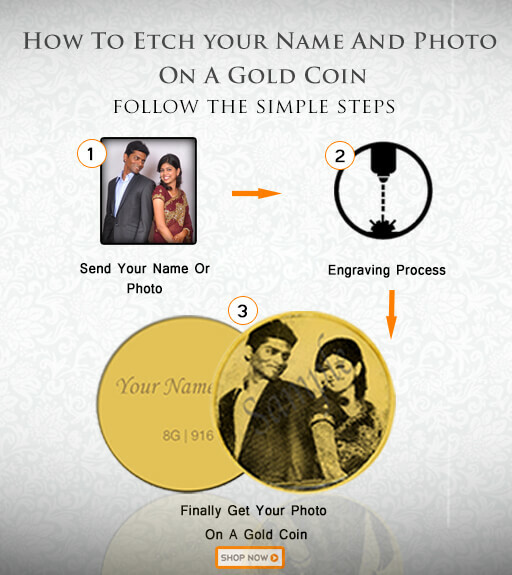 Just like photo engraved coins, AuGrav gives you the option of buying gold and silver coins with names engraved on them. The name can have any font style and size you like as long as the name can be fit within the coin dimensions. Name engraved coins can also have a special text from you! Ever seen a gold coin being used as pendants? But, we can make it happen for you! Who said, coins are only to be kept as souvenirs? They could be used as jewellery too, and in the most personalized way possible. How about flaunting a gold coin as a pendant, with a beautiful picture of your kids or parents? Now, that would be truly special, wouldn’t it? 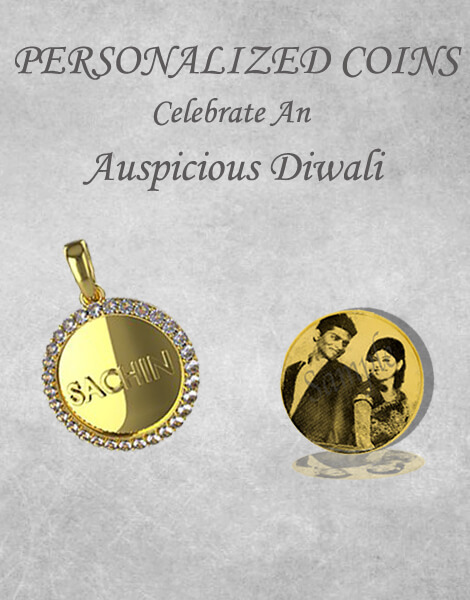 You can select any gold or silver coin you want as pendants, and we’ll make sure you have them with you right on time for Diwali! 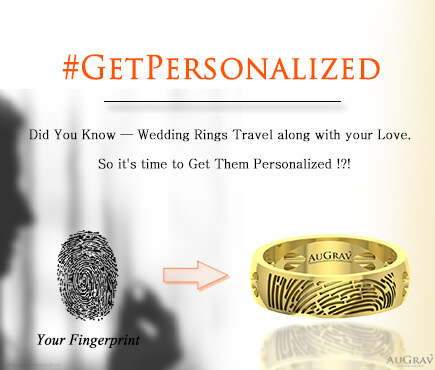 AuGrav wants to take your experience of buying and wearing jewellery to another level, which is what drives us to create the most unique and creative personalized jewellery for our customers. And while you’re at it, if you are interested in checking out some amazing, never-seen-before personalized jewellery such as rings, bracelets, pendants and earrings, as well as kids’ jewellery, do check these links and our Gallery! TEAM AUGRAV WISHES YOU ALL A VERY HAPPY & SAFE DIWALI!!! « Top 20 Awesome Gifts for First Birthday! 5 Reasons You Should Buy Gold Coins From AuGrav This Diwali! Overall rating: 4.7 out of 5 based on 235 reviews.